King Arthur, known as “The Once and Future King,” has long been prophesied as destined to return in the hour of Britain’s greatest need—in fact, people thought he might return during the Battle of Britain in World War II. But currently, his return remains something we dream of and hope for in the future. What that return will be like and how to depict it in fiction is a true challenge that only a few novelists have attempted, such as Stephen Lawhead in Avalon and Susan Cooper in her The Dark Is Rising series. 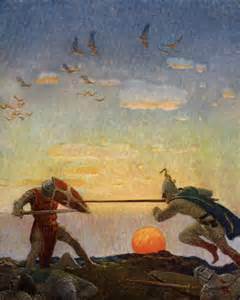 However, in my opinion, no novelist has succeeded in creating a plausible and enjoyable return for King Arthur. Is there a Prince Arthur in England’s future – and will he bring about King Arthur’s return? Read “A King in Time” to find out. The problem is if Arthur returns in a novel, then we in the real world are left realizing it’s just a novel—and at least this reader is upset that he missed that return as part of reality. However, I believe Mary Enck has come the closest to solving this problem in her novel, A King in Time, by doing two ingenious things. First, she sets her novel in the future—the year 2100 A.D., a time that may seem far into the future to her readers until she draws us closer by telling us one of her main characters, Prince Arthur, is the great-grandson of the current Prince William of England, so this is a royal family with which we are familiar. This Prince Arthur is destined to become King Arthur of England. I was ready to expect then a novel completely set in the future in which Prince Arthur becomes King Arthur, so that his return is carried out through a reincarnation of his earlier self. However, Enck had another plan up her sleeve—time travel. After she introduces us to some of her other main characters—Prince Arthur’s mother, Queen Elizabeth III, a man recently released from a psych ward who has lost his memory, and a mysterious man in flowing robes among others—strange events begin happening. A series of magnetic shocks occur, signs of bizarre weather change. One day the characters find themselves walking on the royal grounds when they again experience these magnetic shocks; afterward, they realize they are still in the same place but that some aspects of the landscape have changed. Ultimately, when they find a castle in the distance, they realize they have been transported back in time. I won’t go into all the details here; the point is that Enck solves the problem of how to depict Arthur’s return by having the reincarnated Prince Arthur go back to meet the earlier King Arthur. The issue then arises that if people time travel and interact with the past, they can change the future. Prince Arthur knows that such interaction is considered a taboo, but he decides that he will interfere regardless to see whether he can stop how things play out between King Arthur and Mordred and thus prevent the fall of Camelot. You’ll have to read A King in Time to find out what happens, but I thought Enck’s concepts for handling Arthur’s return to be quite enticing. The novel might sound a bit like Back to the Future meets Excalibur, but this concept worked for me. Of course, Enck isn’t the first author to create time travel in Arthurian literature—I’ve done it in my own Children of Arthur series, and so have many other authors—and in that respect, we all owe a debt to Mark Twain’s A Connecticut Yankee in King Arthur’s Court; I was pleased that Enck gives a nod to Twain in her book. 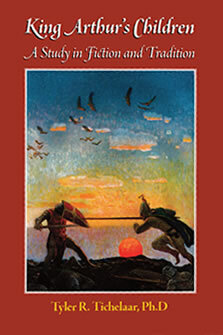 Enck also takes quite a few liberties with the Arthurian world, expanding especially on the concept of the two dragons under Vortigern’s tower—dragons that generally represent the Saxons and Britons in their battles, or simply the forces of good and evil—but Enck’s dragons become major characters in the story with surprising results. I admit I thought the plot a bit complicated with quite a few minor characters and subplots going on so that it wound about a bit more than I liked, but it’s definitely a novel worth reading and one that will bend some readers’ minds for how it pushes the limits of Arthurian legend. So many Arthurian novels are retellings without anything really new about them. A King in Time is a refreshing surprise of new ideas and new energy. Perhaps best of all, a cliffhanger ending suggests a sequel will be forthcoming. I can’t wait to see where the story will go next. This week Free Book Friday is giving away five free, autographed copies of my nonfiction book King Arthur’s Children: A Study in Fiction and Tradition. Please note, this is not my new novel Arthur’s Legacy, but readers should enjoy both of them. Since Arthur’s Legacy was published last month, people are asking me which book I wrote first. I actually began writing Arthur’s Legacy first but soon realized how much work all the research for it would be. Since I had just started an M.A. program in English at Northern Michigan University at the time, and I knew I would write a Master’s Thesis in the program, I decided to write my thesis on the Arthurian legend and soon latched onto the theme of King Arthur’s children. 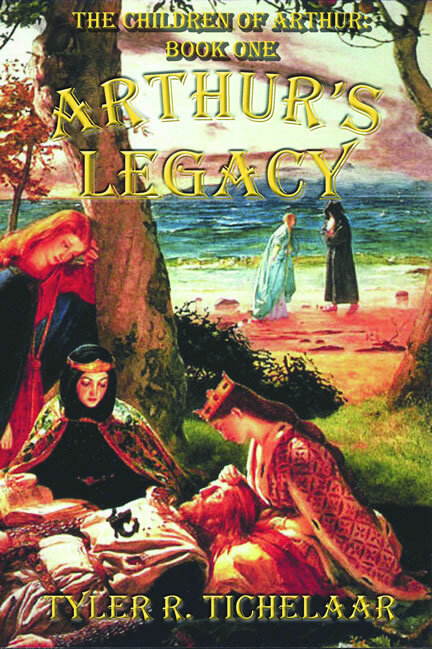 The result was the nonfiction book which incorporated all the research, and it also led to much of that research being worked into the plot in Arthur’s Legacy, notably that King Arthur had children other than Mordred, including Gwydre and Llacheu in the Welsh legends, as well as redeeming Mordred’s character and an eye-opening reinterpretation of Constantine’s role in Arthurian legend. So both books inform each other. You can enter the Free Book Friday drawing for your own copy of King Arthur’s Legacy by going to http://www.freebookfriday.com/2014/06/king-arthurs-children-tichelaar.html You can also read an interview there with me about the book. The drawing will be held on Friday, June 27, 2014. I hope you’re one of the lucky winnners, but if not, next week, visit my website www.ChildrenofArthur.com because I have a special discount of 20% off for people who buy King Arthur’s Children and Arthur’s Legacy together. 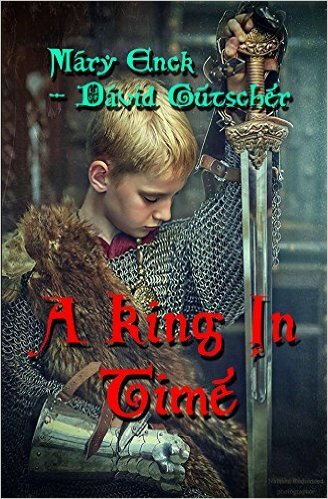 My new novel – I wrote King Arthur’s Children as a way to do the research for this novel.